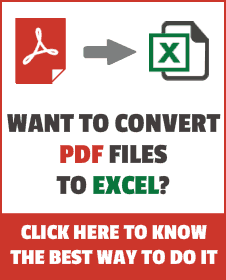 Find all the hyperlinks in Excel. Find all the hyperlinks linked to a specific text. Delete All Hyperlinks at One Go. 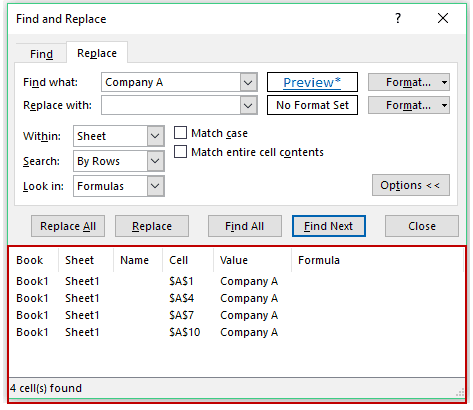 Using Find and Replace feature, you can quickly find all the hyperlinks and give you a list of cells that have it. Go to Home –> Editing –> Find & Select –> Replace. This will open the Find and Replace dialog box (you can also use the keyboard shortcut Control + H). 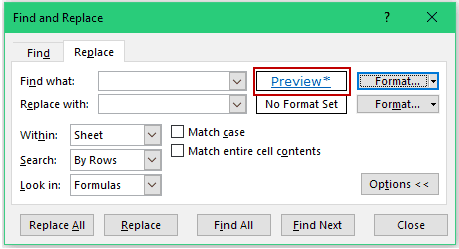 In the Find and Replace dialog box, within the Replace tab, click on Options button. This would show you an additional set of options available to you. 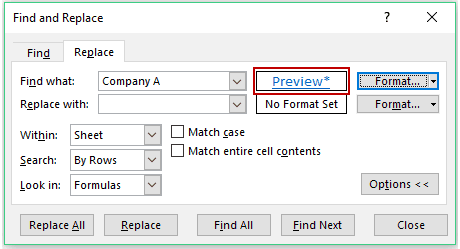 In the Find what options, click on the small downward arrow on the Format button and select Choose Format From Cell. Select any of the cells that has a hyperlink in it. This will populate the preview pane (on the left of the Format button) with the hyperlink format. Click on Find All button. This will find all the cell with hyperlinks in it and show you a list as shown below. You now have a list of all the hyperlinks. You can select each of these cells individually or hold the control key and select multiple cells from the list. Suppose you have a dataset as shown below and you only want to find hyperlinks from the cells that have the text ‘Company A’ in it. In the Find what field, enter ‘Company A’. 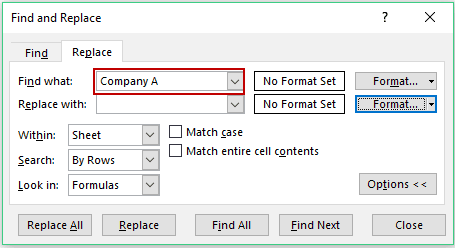 Select any of the cells that have the text ‘Company A’ and the hyperlink in it. This will populate the preview pane (on the left of the Format button) with the hyperlink format. Click on Find All button. This will find all the cells that have the text ‘Company A’ and also have the hyperlinks as shown below. Select the entire worksheet (click on the tilted triangle at the top left of the sheet or use the keyboard shortcut Control + A). Right-click anywhere in the worksheet and select the ‘Remove Hyperlinks’ options. This would instantly remove all the hyperlinks in the worksheet. 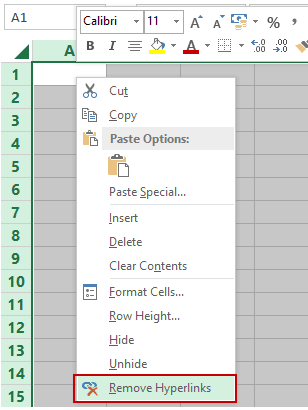 Create Dynamic Hyperlinks in Excel. 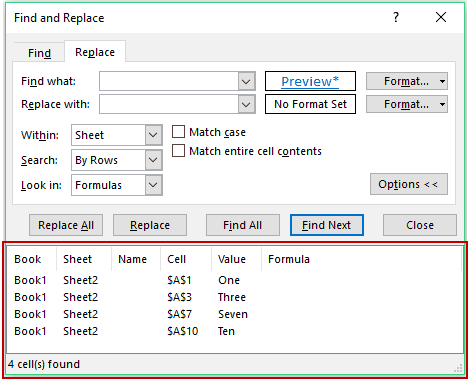 Get more out of Find and Replace in Excel (4 Amazing Tips). 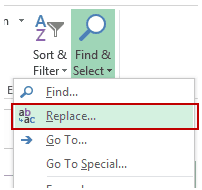 The Ultimate Guide to Find and Remove Duplicates in Excel. 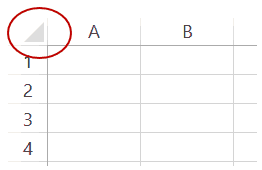 Remove Spaces in Excel – Leading, Trailing, and Double.